The debugger of any IDE is a very powerful tool because it gives developers the insight on how their program or script is functioning. I have throughout been a SQL person, and have always felt that at some stage, Microsoft SQL Server did not deliver at par with it’s Visual Studio counterparts. This was despite the fact that the SQL Server Management Studio (SSMS) was a derivative of Visual Studio. However, with the upcoming release of SQL 11 (“Denali”), I have no complaints. The new SSMS is a derivative of the VS2010 shell and therefore extends the same debugging experience (with the obvious differences related to technology) that it would deliver to let’s say a C# developer. The Visual Studio debugger provides a variety of tools for inspecting and modifying the state of a script. Obviously, these tools function only in break/debug mode. Today, we will be looking at something called “Data Tips”. We will be continuing the example that we used last time after a bit more simplification. Finally, I will summarize which of the features I think I will be using the most once SQL 11 (“Denali”) hits production. 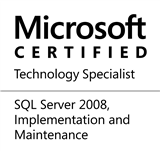 This entry was posted in #SQLServer, Blog, Imported from BeyondRelational and tagged #SQLServer on September 26, 2011 by nakulvachhrajani. Great Data Tips Nakul, Here after I am going to follow your blog posts on Denali. Added to my RSS feed . Very clear and eay to understand. I am glad that I have learnt something new today. Hima: It is really wonderful to note that you liked my posts, and even exciting that you have added my posts to your RSS feed. I do hope to continue the trend of exploring and documenting the vast world of SQL Server in as simple words as possible. Once again, thank-you very much for taking the time out to read my posts.